Replacement watch straps can be found here. If you are having difficulty finding your strap, you can also order one by calling our Customer Service Department at 1.888.727.2931. Your strap will typically arrive within 7-10 business days. We recommend not sending sentimental or engraved items for repair. Please call us at 1.888.727.2931, we are happy to help. Typically we repair your watch by installing new or reconditioned and inspected components or we will replace it with an identical or similar model. Your watch will arrive back to you in approximately 2-4 weeks. 7) What is the difference between a water resistant and water proof watch? Water resistant is the ability to resist the penetration of water to a certain degree. Waterproof means that water is not allowed to pass through it. 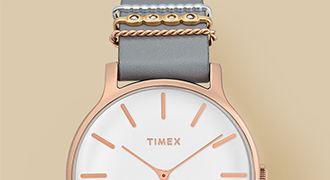 At this time Timex only sells water resistant watches. 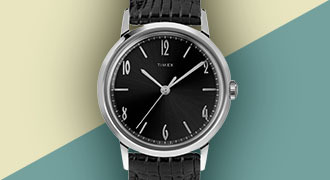 Your Timex watch is warranted against manufacturing defects for a period of one year from the original purchase date. Please click here for the full warranty policy. Please sign in to your account at the Watch Repair center by clicking here. 10) Can I return my customized watch? 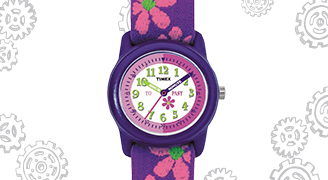 Customized watches purchased from MYTIMEX are eligible for refund and exchange. Engraved items, however, are made specifically for individuals and are considered final sale, and are not eligible for refunds or exchange. 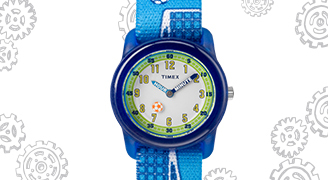 If you are unhappy with your purchase please contact us for further advice on 1-888-727-2931 or custserv@timex.com. We are available Monday –Friday 9:00am-7:00pm EST.